After a winter tinged with tragedy, Scotland’s daily avalanche warning service finishes for the season this weekend. 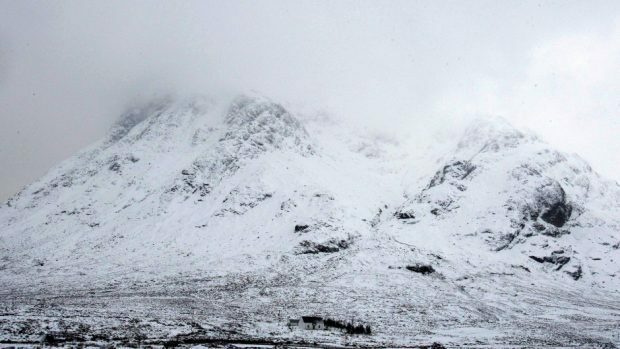 Despite one of the lowest totals of snow slides in the history of the Scottish Avalanche Information Service, the first white deaths in three years were recorded on the country’s mountains. There were several other near misses and “lucky” escapes too. The SAIS has so far logged 107 snow slides – well below half of the previous season. But Mark Diggins, the service’s co-ordinator, said the ‘snow-thaw-snow’ conditions had produced many dangerous avalanches. Three climbers died on the UK’s highest mountain last month. Raphael Aymon, Cedric Ravimet and Adrien Robez-Masson, from France and Switzerland, all died in an avalanche in Number 5 Gully on Ben Nevis on March 12. The only survivor of the accident was Swiss citizen Mathieu Biselx. Mr Biselx described how the party of four experienced climbers were flung down the gully by a torrent of heavy snow which fell 1500ft on to them. They were the first avalanche deaths in Scotland for three years. Mr Diggins said yesterday: “These were experienced people but it just shows the dangers even in a quieter year. “You can be used to dealing with places like the Alps, but Scotland is a completely new ball game. There are dynamic changes. It can be fine weather at 400 metres (1,300ft) and wild at 600 metres (1,900ft). The changes in altitude and more dynamic here. “Our 16 recorders have done a brilliant, professional job and in really challenging conditions. We have had areas covered in snow, then disappearing and then snow reappearing in a quick time presenting a heightened avalanche risk. Though this year’s total is just above the SAIS’s lowest, it included the fewest number of main winter avalanches. A lack of snow produced less than 60 snow slides by the end of February – the lowest in the organisation’s 30 years. Mr Diggins added: “January and February is usually the peak time for avalanches, so this last winter was very low. “The changing conditions have made forecasting more challenging because the dynamics are changing with more extremes of weather. Every winter, SAIS assesses avalanche hazards and provides daily information on the stability of snowpack in the six mountain areas to help walkers plan their trips.